Beller testified at a meeting of 40 specialists in oncology, gynecology, vaccines and women’s health regarding HPV vaccines in Tel Aviv earlier this month. 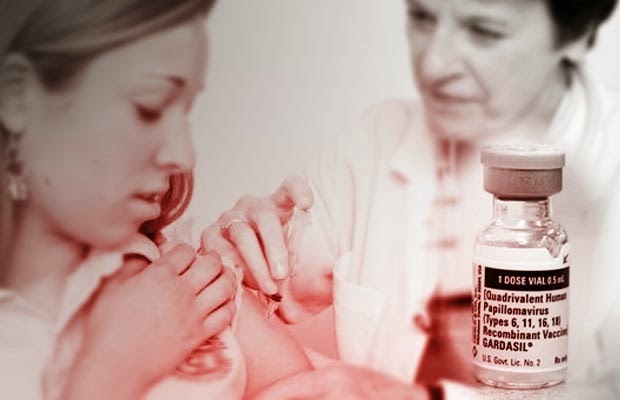 The Israeli Health Ministry was set to begin a widescale vaccination program of 65,000 14-year-old school girls this fall, but the program has been halted for further review after multiple doctors have come forward voicing concerns that these vaccines’ scant potential benefits do not outweigh the myriad adverse health effects the HPV vaccine can — and has — caused. Big Pharma companies Merck (Gardasil) and GlaxoSmithKline (Cervarix) raked in billions on their HPV vaccines last year, most likely on the fears of concerned parents and patients under 30 who paid nearly $400 for a set of three shots to try and spare their adolescents or themselves from possibly getting HPV-related diseases like cervical cancer and genital warts. Unfortunately though, as other doctors have pointed out in the past, HPV vaccines do not prevent cancer. In fact, Gardasil only claims to protect those vaccinated with it from four of more than 100 strands of human papilloma virus and even if someone were to contract one of those strands, it does not automatically mean that person will even get cancer, regardless of Merck’s aggressive marketing campaigns based entirely on fear of it. Even one of the top scientists that helped create Gardasil came forward to admit that the incidents of cervical cancer in the U.S. are already very low and, because the majority of HPV cases resolve themselves within one (70%) or two (90%) years’ time, the vaccine really will not have an effect on the cervical cancer rates either way. On top of that, more than 30,000 adverse events have been reported since these vaccines were approved for sale, a much higher number than the estimated 12,000 cases of cervical cancer reported annually in America. The National Vaccine Injury Program recently paid $6 million to Gardasil victims. Negative side effects reported include Guillain-Barre syndrome, seizures, severe pain, fatigue syndrome, tremors, infertility, spontaneous miscarriage and even death. Over 60 people have died so far after getting the HPV vaccine. Recently, the Japanese government has announced it will officially stop recommending HPV shots due to over 2,000 adverse reactions reported in the country. All Japanese healthcare providers will now be required to tell patients that the government does not recommend the vaccine. HPV vaccines were fast-tracked, and their approval marks one of the most corrupt and obvious revolving door cases in the history of the U.S. government. The former U.S. Centers for Disease Control and Prevention (CDC) Director from 2002 to 2009 Dr. Julie Gerberding directly helped pave the way for approval of Merck’s Gardasil vaccine with a 2004 report to Congress on preventing HPV. After she left her position at the CDC in 2009, Dr. Gerberding walked right through the revolving door between our government and Big Pharma to accept a position as President of Merck’s Vaccine Division where she currently works.